2019 GAMSAT Courses Live at Imperial College London! Would you like to get personal attention from a GAMSAT expert and dynamic teacher? 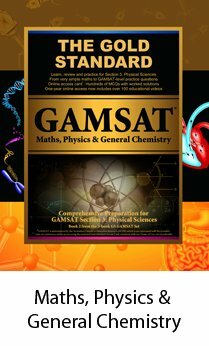 Dr. Ferdinand wrote and edited the first GAMSAT textbook ever, created practice GAMSATs online and taught and tutored thousands of premed students over 20 years. Is there any GAMSAT preparation course or tutor that can promise you that level of experience? Liverpool, Leeds, Southampton, UCD, UCC; as well as John Smith's, Wisepress, Foyles and Waterstone's in London. £219 for all 3 books, Save £36! + FREE Shipping! 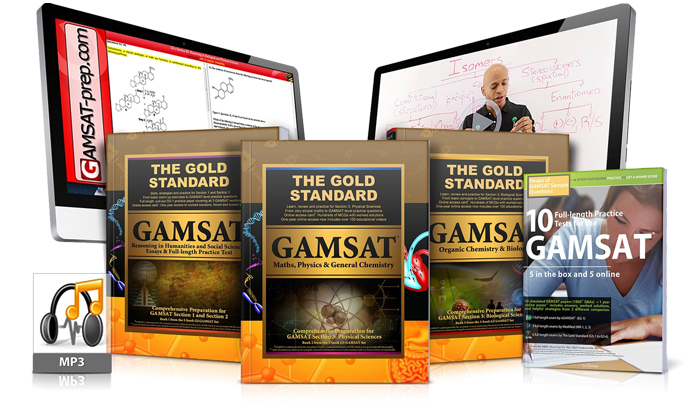 This brand new practice book includes an unprecedented 10 full-length GAMSAT practice tests from two leading GAMSAT preparation publishers: Gold Standard GAMSAT and MediRed. 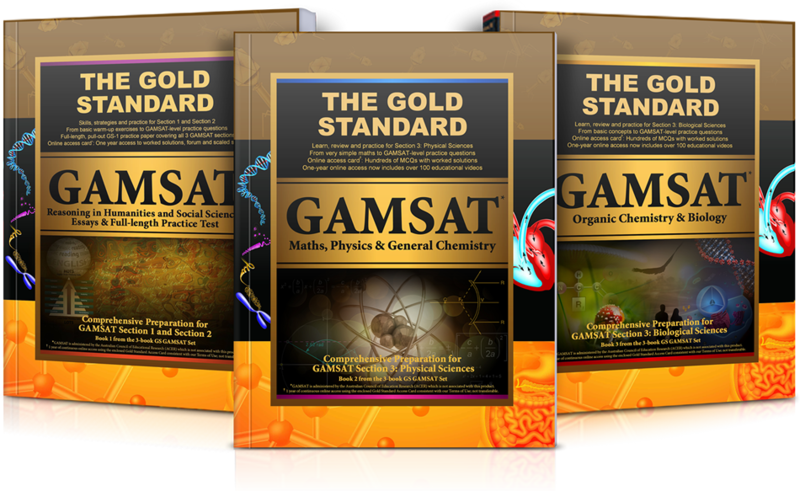 Note: The Gold Standard GAMSAT 3-book set and Heaps book are part of the Home Study GAMSAT Prep Course and all complete course packages. 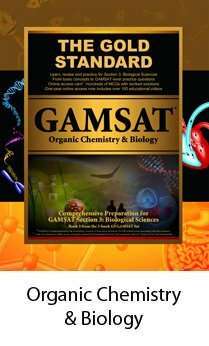 Offers clear teaching and reviews all of the topics that ACER requires you to know for the GAMSAT (science, verbal and written): 3 textbooks, over 300 online science videos + summary flashcards! Over 3000 practice questions available in the books and practice papers, and online using your Gold Standard Online Access Card with Personal Identification Number (PIN). 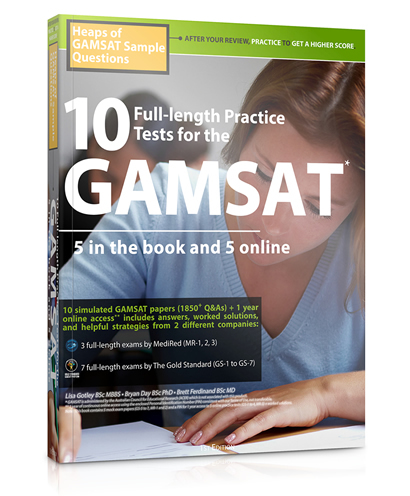 The 10 full-length GAMSAT practice tests that come with this package include helpful, worked answers: 5 paper tests in the book that comes with the package and 5 practice tests exclusively online. 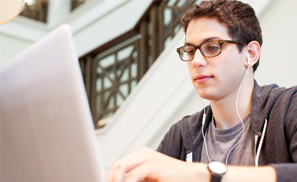 Unlimited access to our 70+-hour video library using your GS Online Access Card. Note that the card’s PIN provides you with continuous access for up to one year. 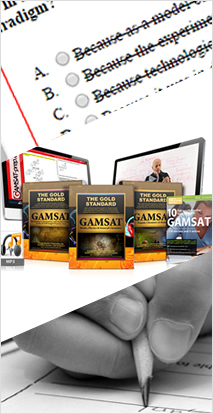 Includes a detailed GAMSAT Study Schedule and a bonus GAMSAT online video that gives specific advice for the different sections of the GAMSAT while also discussing how the different parts of this package work together to help you achieve your optimal score. 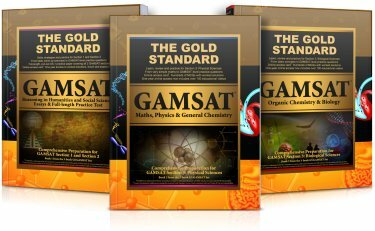 Join the author of the first GAMSAT textbook ever (The Gold Standard) for a problem-based learning course to help you obtain your optimal GAMSAT score. Learn from our experience. 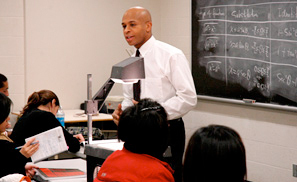 Dr. Ferdinand uses a problem-based learning approach to teach the most frequently tested GAMSAT topics in non-science verbal reasoning (Section 1), written communication (Section 2 essays), and the sciences (Section 3). 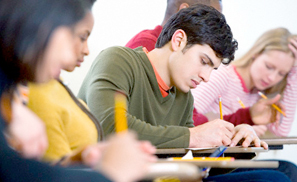 In this course, students sit a full-length practice exam (Virtual Reality GAMSAT VR-1 exam) on the 1st day; the 2nd day is for review and problem-solving analysis; the 3rd day is to cover advanced GAMSAT topics and to apply problem-based learning to the review of the content from the VR-1 practice test. 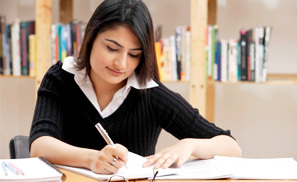 Home Study Course + Section 1: tips/strategies + over 20 mini-tests + Section 2: 8 of your essays corrected + Section 3: 70+ hours of online videos includes an unprecedented 10 full-length GAMSAT practice tests that come with this package include helpful, worked answers. 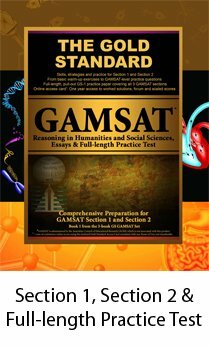 Besides providing you with a study plan, this Complete GAMSAT Course includes personalised comments and tips for your corrected essays and an online forum with a discussion thread for each of the over 5000+ practice problems with worked solutions so that you are never left in the dark about a problem (these practice problems include chapter review questions, mini-tests and full-length practice tests). You will not require any other books, notes or materials to prepare for the GAMSAT save ACER's practice booklets which are only available separately from ACER. 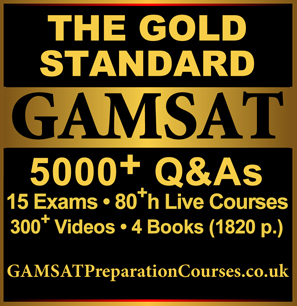 Online access begins instantly after payment and continues through the next 2 GAMSAT sittings in the UK. Postage is free to the UK and Ireland. Dispatch within 48 hours. Free bonus: Gold Standard Medical School Interview video (see below for a video clip from YouTube). 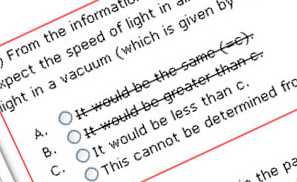 Section 1: Over 20 mini-tests: Poems, Cartoons, Verbal, Drama, etc. Our Price: £59/month / Cancel Anytime! Price: £79 vs £149 vs £299 / Tips + Practice! Shipping is FREE to the UK, Ireland, Australia and the US. Dispatch from London. On average, delivery in less than 1 week to the UK. Any package over £400 includes the following bonuses: Medical School Interview DVD. You can see clips of your free Medical School Interview video below. To learn more or purchase this DVD separately, click here: Medical School Interview DVD. 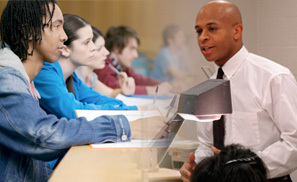 Learn more about our courses and teaching on YouTube: GAMSAT, Medical School Interview, MMI Interview. "I personally found this seminar an invaluable experience, and I do believe that this has helped me to gain a better understanding as to what is expected from me in a Medical School Interview. The seminar consisted of a role-play interview with a volunteer, whose answers were later evaluated. 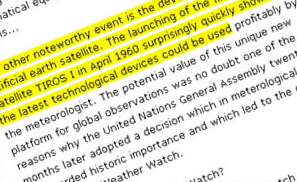 Dr Ferdinand emphasized both the good aspects and the faults, whilst constantly giving examples as to how to improve. Additionally, he helped to explain the common thought processes of the interviewer, allowing me to gain valuable insight into how to best structure my answers." "The Medical School Interview seminar is extremely beneficial for those considering Medicine, offering a unique perspective and promoting a confident approach to the interview with useful hints and tips."